Hello friend, we are back with new trick in which you can earn money without any blog, all you need is a Facebook page or YouTube channel or Twitter or any other social media page. What I’m sharing here today can provide you with a great revenue stream. Sponsored posts are nothing new & is a common term in the field of online advertising. Now, one can get a sponsored post for their social media channels. 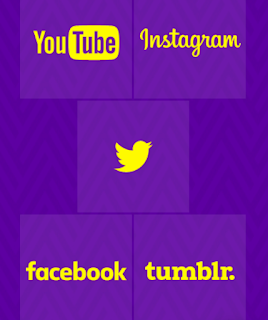 All you need is an active profile on any of the above mentioned social media networks and more than 5000 followers. I believe Twitter & YouTube would be the easiest to get started with this. The new monetization technique which I’m sharing with you today is called “Social Media Monetization“. The network is called Famebit. What is Famebit & how you can make money from it? Famebit is a platform which connects social media influencers with brands. The cool thing is that you don’t have to be the most popular person in the world to be a “social media influencer”. I will explain more about it later, but for now, let me explain what Famebit is & how it works. Famebit helps you to get sponsorship for your social media channels & through this sponsorship, you can earn handsome amounts of money. As a brand, finding influencers to talk about your product on various social networking sites is the definition of viral marketing and can prove to be very valuable. 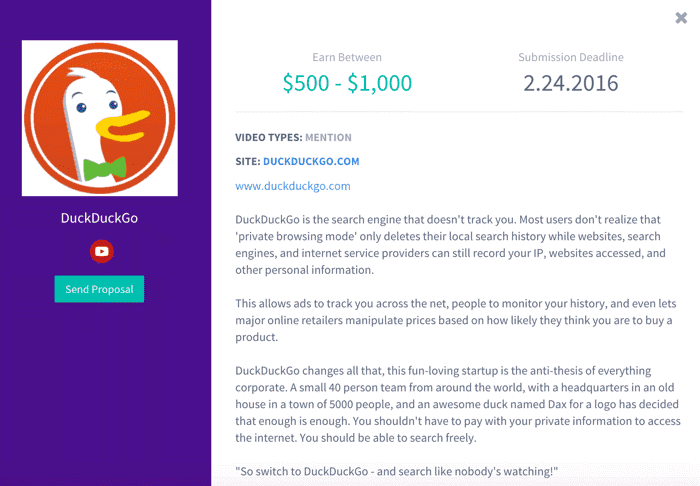 This a self-serving marketplace & it is easy to get started. 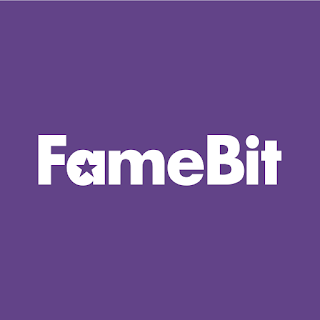 Famebit was initially started focusing on YouTubers & now it supports more social networking sites. You only need 1,000 followers on any of the accepted networks to connect and start sending proposals. Once you have created an account on Famebit, you can access their marketplace instantly. 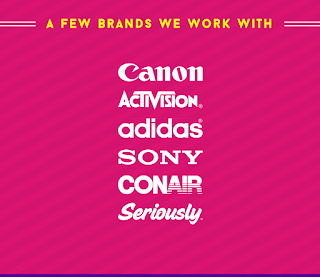 Here you can browse the brands who are looking for influencers to talk about & promote their product. You will find products related to almost all popular niches such as technology, gadgets, beauty, fashion, pets & many others. You can sort the offers based on targeted social networks, niches & pricing. You can click on “details” to see more about the sponsorship & from here you can contact the brand with your idea of promoting them. Click on “Send Proposal” & share your ideas with the brand on what you would be doing. This is how the brand will see your proposal. You can send the proposal to any number of companies. I would recommend you use a template for sending out proposals, but also be sure to make it personal. Study the brand and come up with a unique idea. Once your proposal is accepted, work on the promotion plan & share the draft with the company using the Famebit dashboard. Once that is accepted, you can go live with it. Once you submit the content on your channel, the company who sponsored your content becomes the copyright owner. They can reuse it for their other media campaigns. For a first timer, it’s a good idea to read the terms and conditions of Famebit. Famebit charges 10% of the sponsored fees for providing this platform. Payment is made via PayPal or paper check. Tip: On Famebit, you can also receive physical products to try & review. So at times, it’s OK to keep your proposal price low as you will get to review the product for free. Overall, Famebit is one of those monetization techniques which is not limited to bloggers. Anyone who is active on social media platforms like Youtube, Facebook, Twitter (and a few more) can earn a decent income out of it. 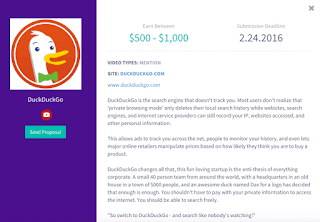 In particular, a YouTuber can earn anywhere between $10 and $20,000. Have you tried Famebit? Share your experience in the comments below. If you like this post please share this article with our friends on social media. If you have any problem you can comment below.